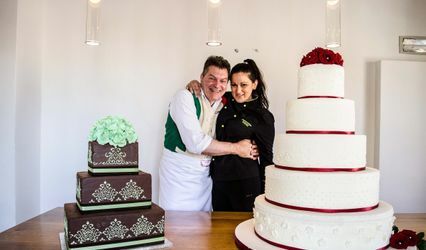 At L'Arte Della Torta di Melanie Secciani every cake is made with the freshest, highest quality ingredients, and with the utmost attention to detail. 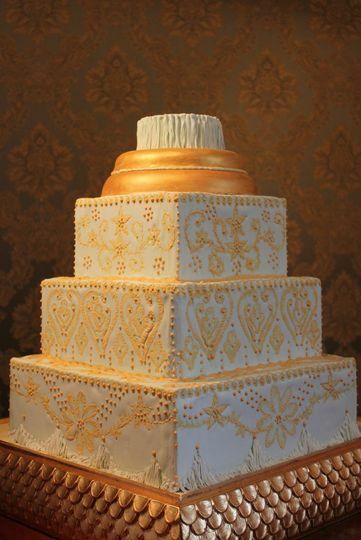 Our belief is that a cake is far more than just a dessert. It is a memory. 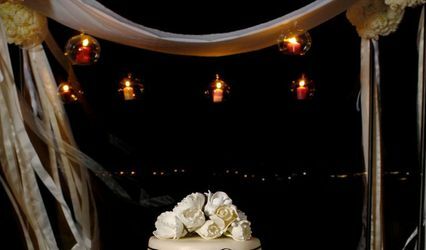 Slicing a Wedding Cake represents the first official act of work in a new couples life. 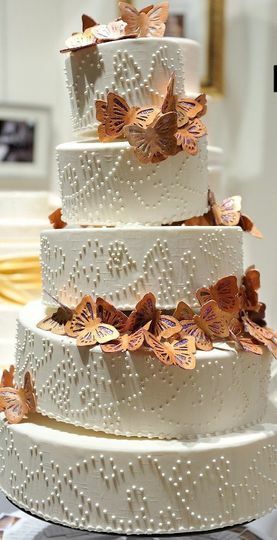 It signifies the work of their new life together, and the hope that life will be as sweet as the cake they are cutting. 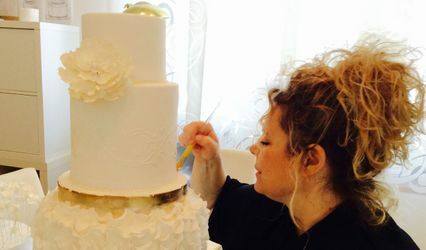 Melanie brings her culinary background and unique artistic eye to each couple to create their dream cake. 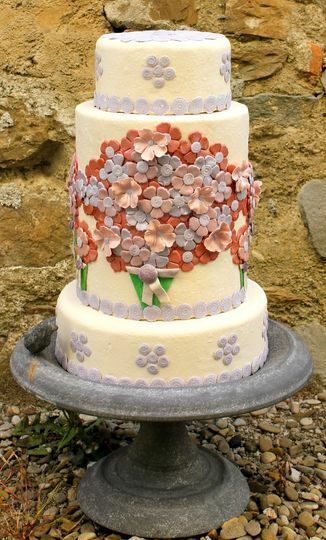 She was named the Top Wedding Cake designer in Tuscany by The Tuscan Magazine in 2011. 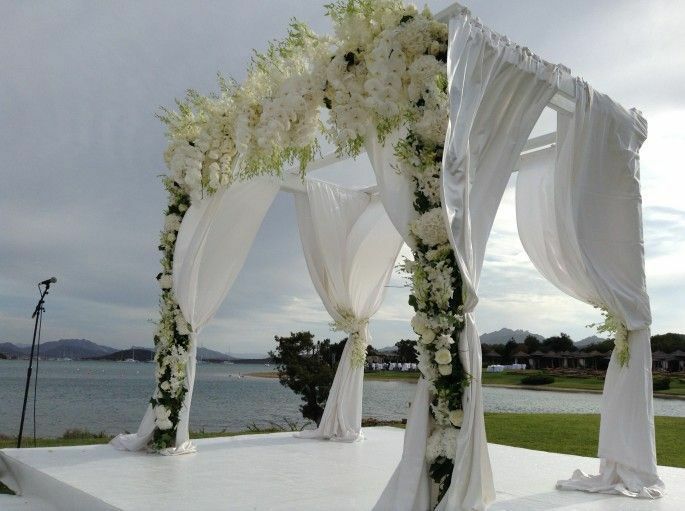 And has been featured extensivly in the media, including the Tuscan Magazine, Martha Stewart Weddings, Gambero Rosso's Nudo E Crudo and Aspettando il TG. Melanie was amazing! 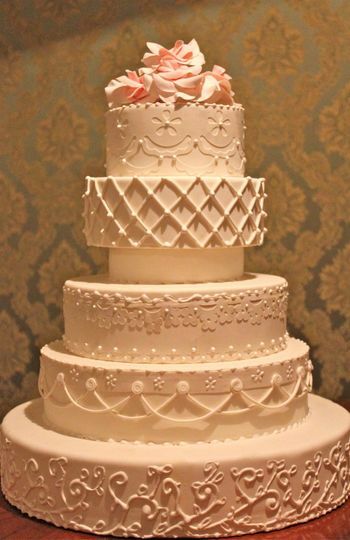 We had our wedding in Italy and she worked side by side with my planner from The US and created the most beautiful and tasty cake our guests and I have ever seen. She is meticulous with detail and just a perfectionist. 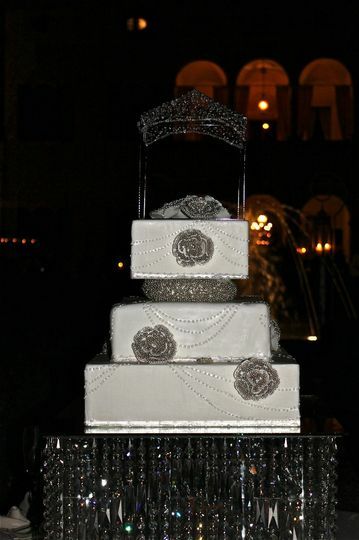 People still talk about our cake every time I see them! She is the best! I know everybody says "this was the best cake I've ever tasted" but in the case of Melanie's cake there is no other way to explain it. I truly cannot remember ever having tasted amore delicious cake then this one. I ate three slices. And no only was the cake delicious, but it was just as beautiful. Hand piped and decorated with gorgeous flowers and edible gold dust, it was the center piece of our reception and truly made a statement. Not only was Melanie professional but she made this incredible cake for us on VERY short notice and there was absolutely no compromising of quality - a testament of the talent of a true artist. 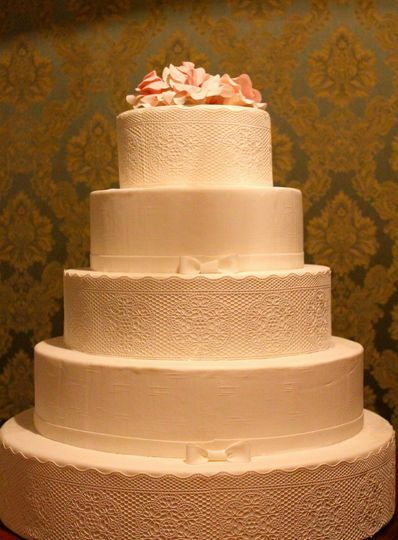 You will not be disappointed ordering your cake from Melanie Secciani! Thankyou Melanie for making such a brilliant and amazing cake for us. It was truely the cake we dreamed of. Our experience with Melanie was nothing but positive. We didn't really care much about the design going in. We just wanted a cake that tasted good (until we saw what Melanie can do). Given the limited choices in Florence we had almost given up after doing another tasting and decided just to go for the standard Italian wedding cake with puff pastry and cream and fruit. We knew from the moment that we entered her studio and had the first bite that this was the cake for us. For the tasting she had 4 different kinds of cake for us to try and about 15 different buttercreams. All were shockingly good. We settleled on 2 flavors. A dark chocolate cake with Dulce di Leche cream, and the Almond cake with wild berries. Then she started designing a one of a kind cake for us. And suddenly I cared about how it would look. After looking at different shapes and colors she drew up a picture of the cake. The picture was nice the real cake was brilliant. Perfect. 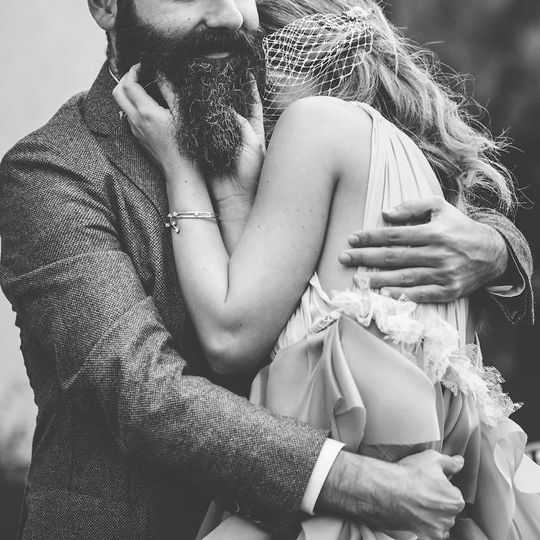 We are both musicians, so the cake had us dancing in an olive grove with a tree that had music notes growing from the branches. In addition she asked us tons of questions and kept in contact with our florest, and the villa where the reception was held. We just felt at every step everything was under control and it was one thing we didn't have to worry about. She was sometimes hard to get ahold of by phone, but she always answered our emails and messages within a few hours. 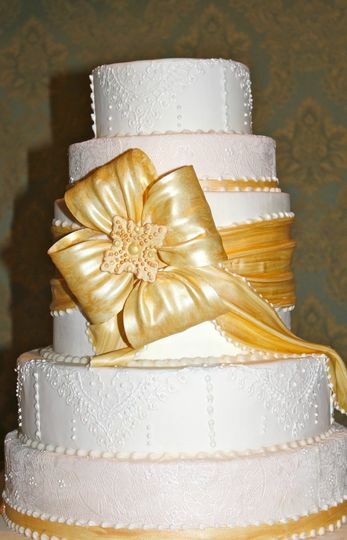 Her prices are higher than the other cake shop we looked at but once we saw the finished cake and all the detail that went into it, we felt we got a good value. 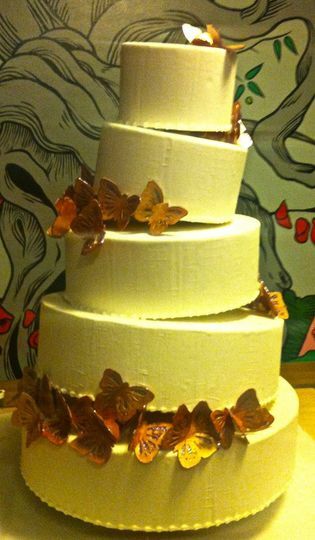 Melanie&apos;s cakes are art&apos;s pieces but the most important thing is that they are incredibly tasteful!!! 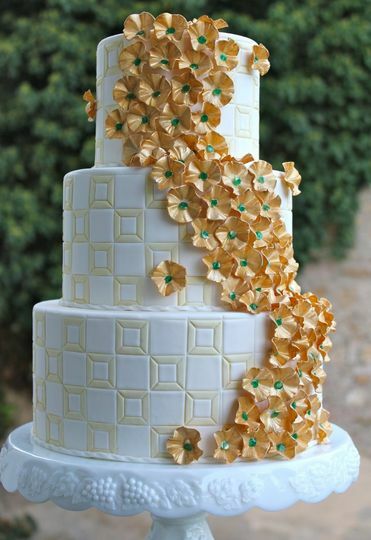 Best Wedding Cake ever and dramatic design!